WTS: Custom made to order Rustic American Flag and Punisher skulls. Thread: Custom made to order Rustic American Flag and Punisher skulls. Custom made to order Rustic American Flag and Punisher skulls. started recently building these made to order rustic wooden flags. 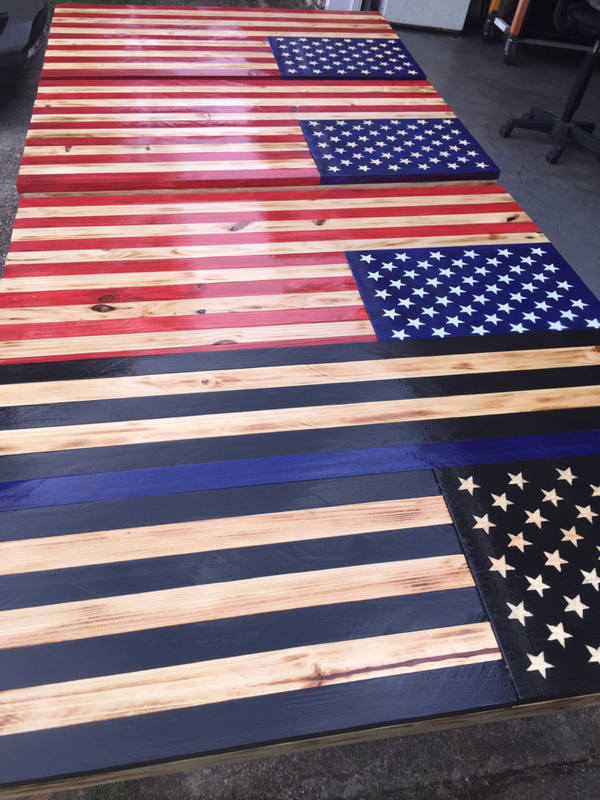 I can make American flag, Thin Blue line flag, Thin Red line or even maybe custom. The sizes varies. Painted or dremeled stars will dictate the price of the flag. If shipping the, add about $30-$40 to the cost.. Made to order but sometimes I have some ready to sell! Let me know what you want. ----Price List:Custom Made FlagsEach of my Flags symbolize a unique style of their own.-"Traditional" Time-honored custom stained to represent an American flag.-"Rustic"Roughened surface with charred black tinted stripes and union to give the flags a distinct rustic look. 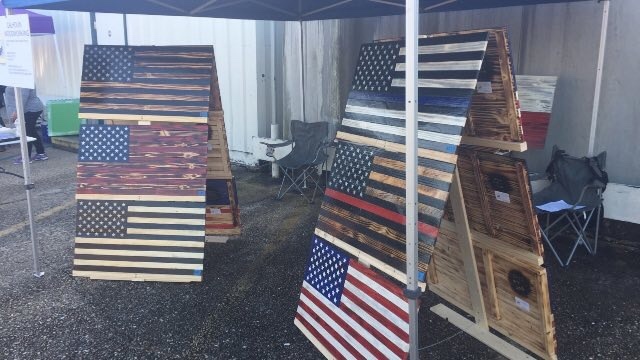 This flag will be a great addition to show support.-"Weathered"Stained red, white and blue then torched to show an appearance of a worn and survived look. 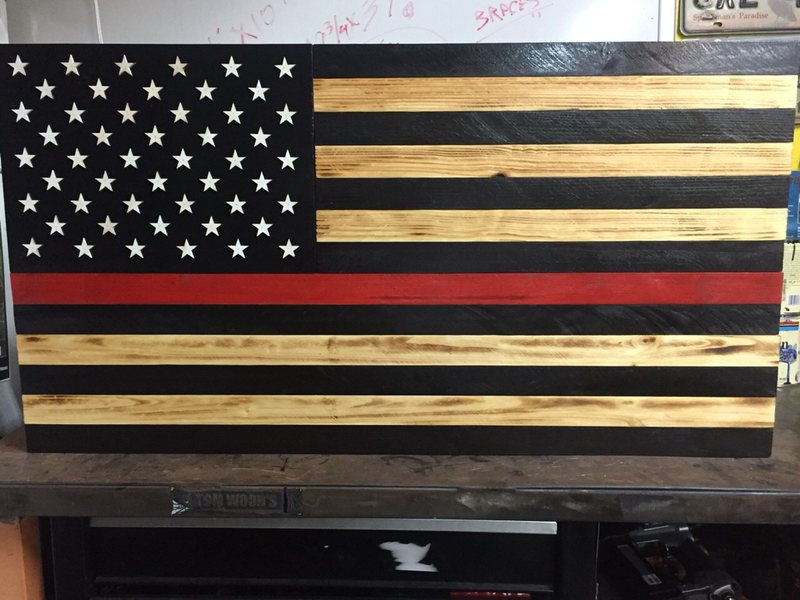 A flag that has features and details of great characteristics to represent a weathered look.All of my flags are hand carved and customization is also available upon requests. 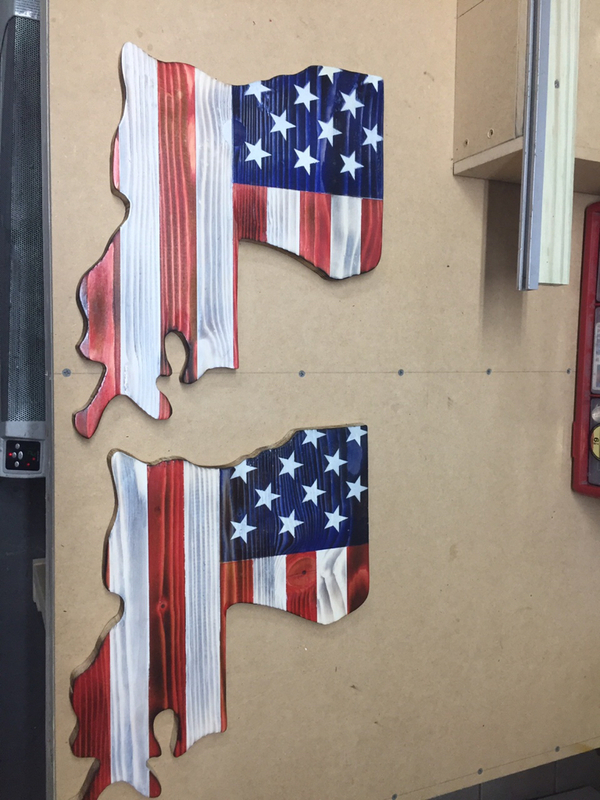 Unless otherwise requested they have a protected finish application and are ready for hanging.My Veteran owned business will give you a product that has as much pride making it as I did serving my country. I look forward to working with you and appreciate your welcomed business. X-Large (36* x 48*) $400This price could vary depending on the amount of customization you request. I ask for a 1 week turn around on these products unless arrangements have been made. Please reach out with any questions or special requests you may have. I am located in Harvey, LA. I greatly appreciate the honor of doing business with you. Bump to the top. Thanks for looking in advance. Nice work! Best of luck with the endeavor. Started 2 "Saints" flags and 1 TRL tonight. Will put the stars and poly on it tonight. We be building more tomorrow night. If you would like to purchase one have one custom made contact me. Anyone else interested in my flags? It’s close to the holidays. Thanks for your time. First craft show. Come by and purchase a flag for the holidays. Over in Metairie at the elks lodge on Clearly Ave. today. Last edited by mini73; November 21st, 2018 at 06:53 AM.